With the busy holiday season behind us, Chapter volunteers turned out February 26 for the first preservation work session of the season at the Lightship Chesapeake in the Baltimore Inner Harbor. 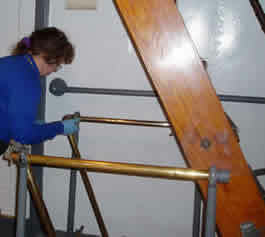 Volunteers arrived at the lightship in the morning and worked hard throughout the day. Lunch was enjoyed in the Officer’s Mess. Volunteers, fresh from the National Park Service Preservation Training, were ever mindful of the historic structure and eager to get to work. Chapter preservationists worked on polishing brass in the crew’s area and the wheelhouse. 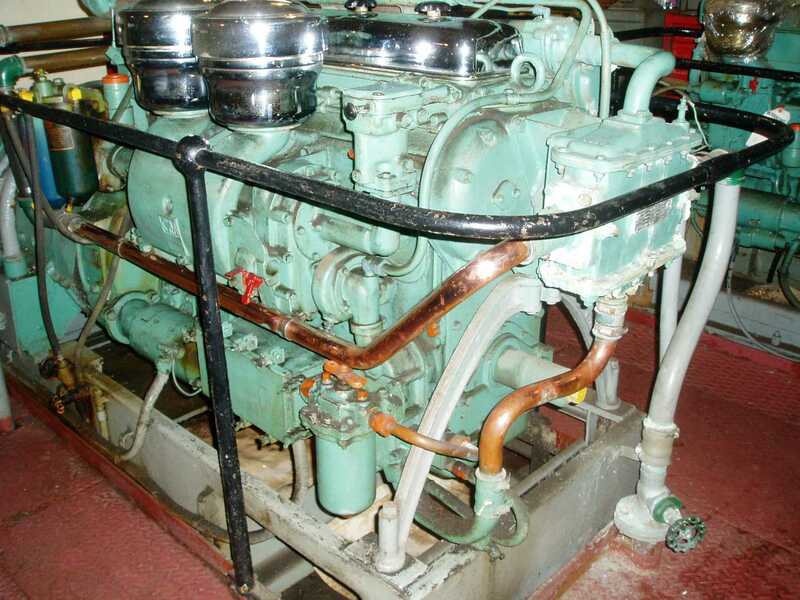 Others of the group worked down in the engine room cleaning up diesel fuel from the floor and working on cleaning the generator and engine. 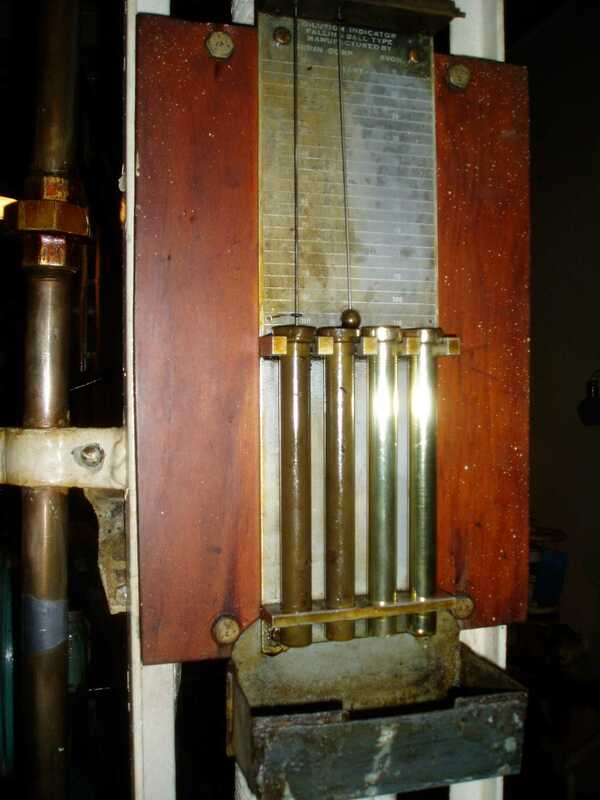 As the grease and dirt was removed, the brass and chrome was revealed. 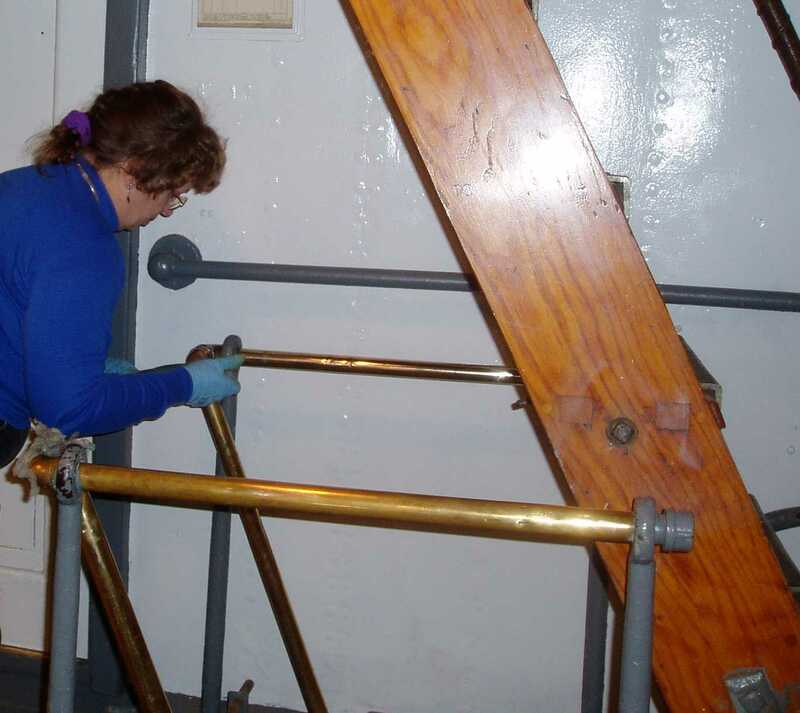 This work is an ongoing commitment to maintain the ship for welcoming visitors at the Baltimore Maritime Museum. For A Larger View. 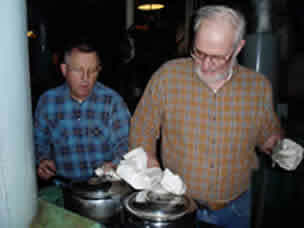 Al Smith and Hobie Statzer cleaning one of the generators. .
For A Larger View. 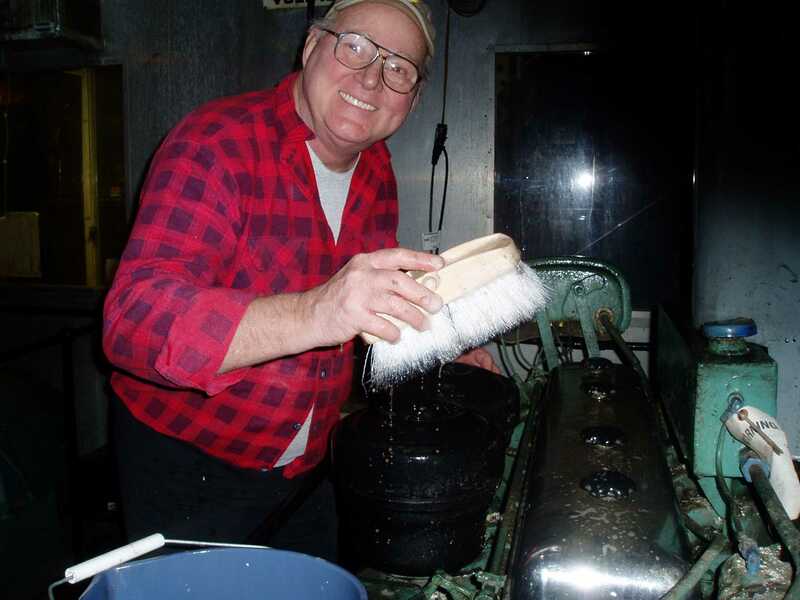 Al Pearson working on a generator. For A Larger View. 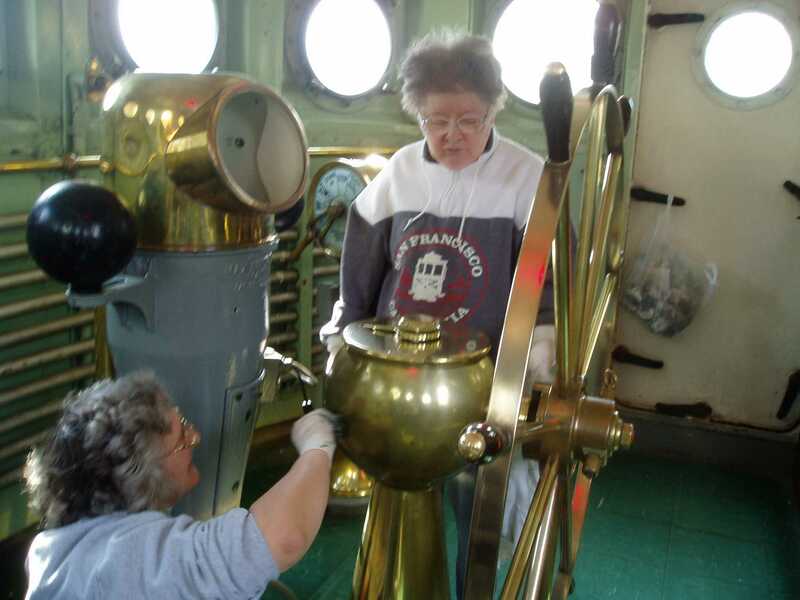 Paula Liebrecht and Ruth Anne clean the brass in the wheel house. For A Larger View. 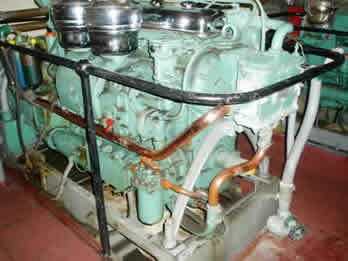 Here is a before and after of the brass work down in the engine room. 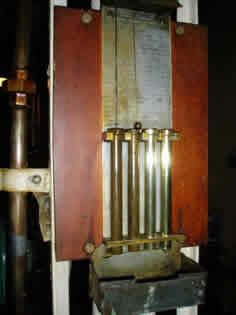 For A Larger View. Nice clean generator after it has been cleaned.